Watch the State of the Union with The Nation! 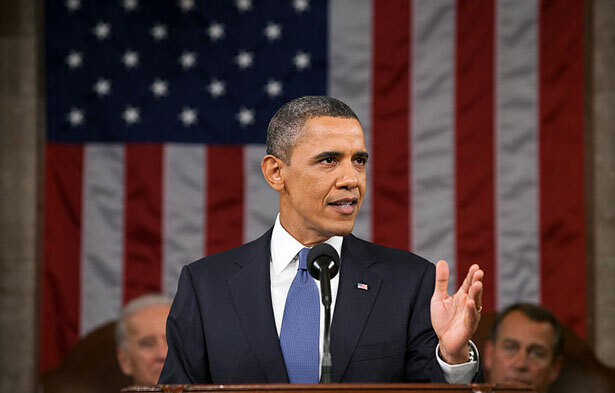 On Tuesday, February 12, at 9 PM, join Nation writers and editors for live fact-checking and analysis during the President's 2013 State of the Union address. During President Obama’s 2013 State of the Union Address this Tuesday, February 12, at 9 PM, we'll be online with live analysis and fact checking. Nation contributors George Zornick, Bryce Covert, Aura Bogado and Harold Pollack, along with our editor and publisher Katrina vanden Heuvel, will be on hand for a live chat during the President’s speech and Senator Marco Rubio’s rebuttal. Hundreds of readers joined our chats during the Presidential debates this fall, many submitting their own sharp commentary. To be sure you don’t miss out on Tuesday, sign up for an email reminder below.